Named after its Jain businessman founder Seth Hathee Singh Kesrising, Hutheesing Jain Temple or Hathi Singh temple built using white marble, is an architectural marvel in itself. 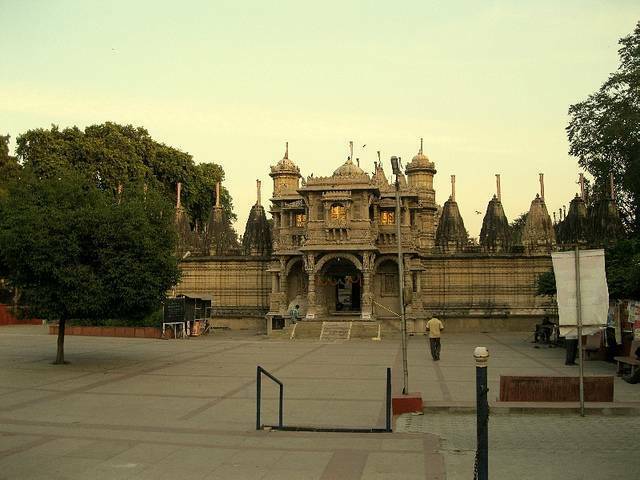 Hathee Singh temple was constructed in mid 19th century is one of the most famous Jain temples in Ahmedabad. Hathee Singh temple is a two story temple that has beautiful intricate carvings on its walls depicting Trithanakara and other Jain deities. This temple is dedicated to Lord Dharmanatha one of the Jain Tirthankar. It is estimated that the temple cost "over a million dollars" during those times. Construction of this temple was started when a famine had struck Gujarat and people employed for the construction work were able to support their families from the income.